Indonesian human rights NGO Elsam has protested against the police shooting of farmers attending a national meeting in Lombok. Twenty seven people suffered gunshot injuries on September 18th when police dispersed a farmers' union general assembly organised by the Nusa Tenggara Barat union and the Federation of Indonesian Farmers Unions (FSPI). Eight people were detained at the meeting, which was attended by farmers' representatives from 26 countries. 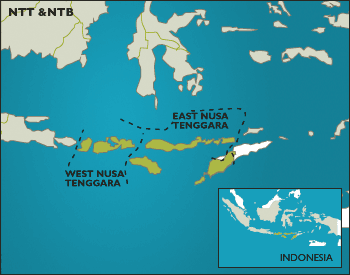 Six people are reported dead after police fired on protesters at Ruteng, East Nusa Tenggara province. This is the tragic outcome of the local authorities' hard-line approach to clearing coffee growers from land designated as state-owned forest.